The General Manager of Al Dahra, Vojin Lazarevic, said that the company would invest EUR 15 million in PKB by March of April, which is half of the investment planned in the next three years. Lazarevic told Tanjug that, under the agreement Al Dahra has with the Government of Serbia, the company should invest EUR 30 million in the next three years and that now, half a year from the purchase, it would invest 50% of that amount. When asked to comment on media speculations that the PKB land would be repurposed, Lazarevic says that “it's better to act than to speculate with people who have doubts”. – Under the agreement of Al Dahra with the Government of Serbia, we oblige to invest EUR 10 million annually over the next three years. However, six months after the acquisition of PKB, the first investment of EUR 15 million will be realized and the entire rolling stock will be replaced – Lazarevic says. He adds that the youngest machinery is from 2012 and that they found tractors which have exceeded the number of working hours. He believes that it is good for PKB to be bought by Al Dahra. – I truly believe that we will bring PKB back to its old glory in the next two to three years – Lazarevic told Tanjug. In October 2018, Al Dahra signed an agreement on the purchase of PKB for slightly over EUR 105 million. It will operate on around 17,500 hectares of agricultural land on eight farms, which are strategically located close to the center of Belgrade. 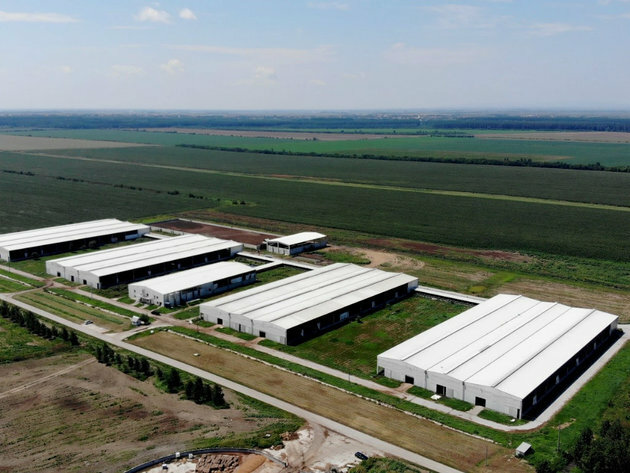 The company plans to grow various crops there, including sugar beet, sunflower, wheat, corn, barley, animal feed and several types of vegetables. Al Dahra is an international corporation which specializes in the farming business. It has around 160,000 hectares of agricultural land on four continents.